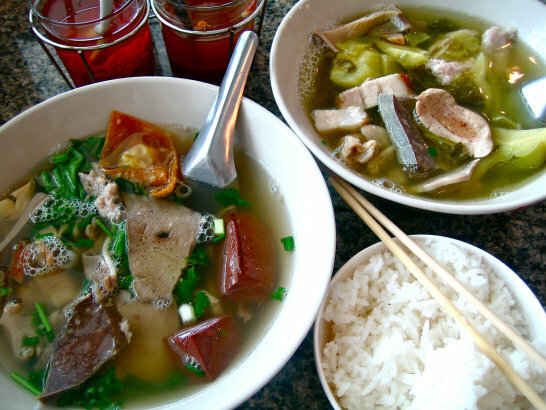 Speaking about "Nose to Tail" eating which is becoming a big trend in Bangkok right now. 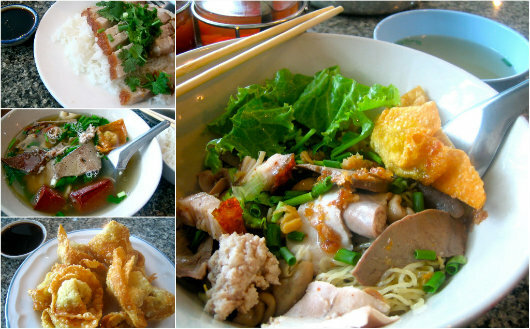 "Aruwan" has been serving something almost as similar as "nose to tail" concept in Bangkok for more than 50 years! For some reason, this small & humble eatery, which is hidden in mid of Ekamai Road - Sukhumvit 63, has been underrated - I mean that I am surprised that its only well known among the locals in Ekamai and Thonglor. Recently, the 2nd generation renovated the place. I think they try to modernise it and at the same time try to keep the charm of the old place. I think they have done quite well. The service is now faster and more organised which is very nice. Though the new decoration really reminds me of those cha chaan teng eateries in Hong Kong. Anyway, if you have never been to "Arunwan". I highly recommend that you go now. Order anything out of the menu. You won't be disappointed. Its a place that you can really enjoy unpretentious food thats not only very delicious but you can also feel/see that the owners really care for their customers. Everything (ground red chillies, fish sauce, condiments, ect.,) that put on the table are well-selected, good quality and very clean. Oh well, I don't know what else to say only I just love this place! Nice looking food. Definitely a place to try. Your blog is impressive and the dishes look so delicious and authentic. We are Thai Direct (www.thaidirect.co), the authentic Thai meal kit company, delivering fresh authentic Thai ingredients with easy recipes to cook authentic Thai meals at home. Check us out when have a chance. Thanks!